LinkedIn has long allowed members to create groups on the professional social network, but most of the time the content seemed spammy and more promotional versus educational and insightful. People didn’t have a great opinion about the feature. 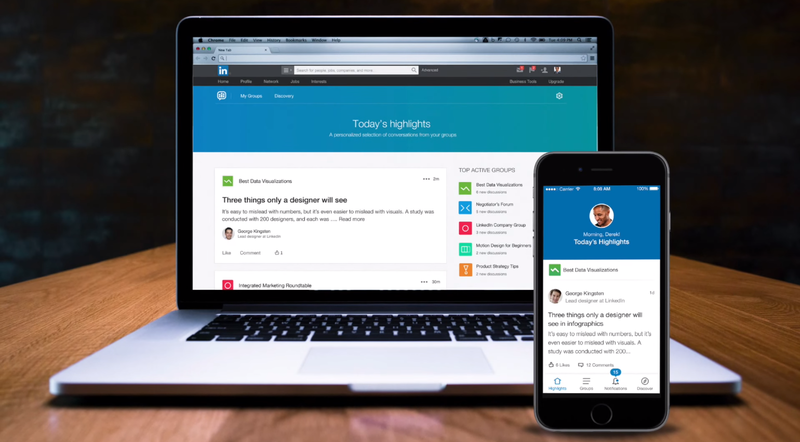 In 2015, LinkedIn re-imagined things and released a standalone Groups app on iOS and introduced new practices and policies intended to get people excited about being a part of groups. Fast forward nearly three years later and it appears LinkedIn might be back at the drawing board. The company has sent an email to group administrators telling them that its Groups app will cease to operate on February 15, but nothing will change in terms of managing these associations. However, if you’re on mobile, it’s likely you’ll have to update your groups through LinkedIn’s main app or through the mobile web. It’s unclear how many people downloaded the standalone app — the lack of an Android app might be one indication about its traction. When it made its debut in 2015, there were at least 2 million groups on LinkedIn, but the company hasn’t revealed any significant uptick since then. The whole point of the app was to give you a dedicated area where you could get a debriefing of all the things going on with groups you’re affiliated with and make it easier to interact with other members. Ability to discover Groups from the homepage: The main LinkedIn app will be the default place on a mobile device to find Groups once again. 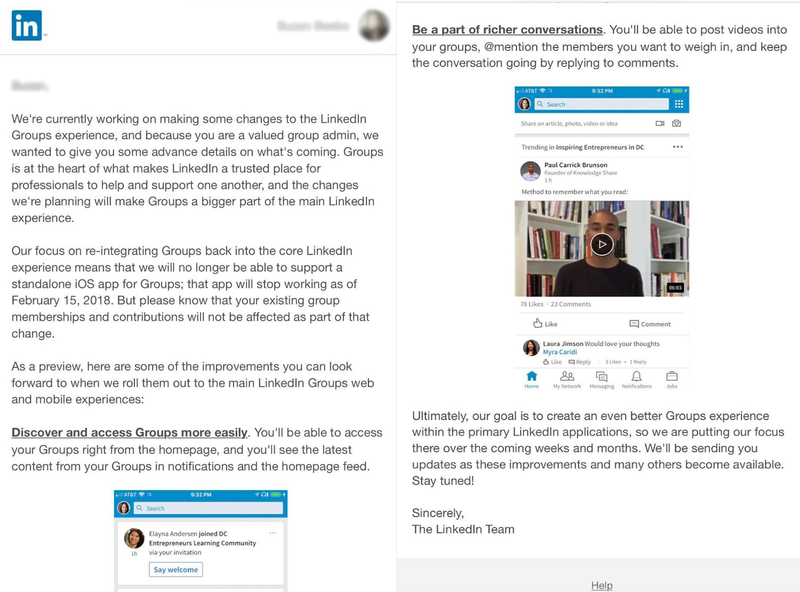 Addition of tools to make conversations happen: LinkedIn will incorporate tools members already have individually within the Groups offering, including being able to @mention someone, use videos, and replying to comments. While the Groups app didn’t last long, another way to view this change is that perhaps LinkedIn gathered enough information about how people were using Groups and then decided to act on that data in order to build better functionality within its flagship app. This isn’t exactly the first app that the company has shuttered, and won’t be the last one, but by isolating specific features into standalone apps, LinkedIn hopes to better understand the usage of a particular area in order to make the overall service better for everyone. But then again, some are definitely worried about what LinkedIn is doing — the shuttering of the Groups app comes more than a year after the company discontinued its Groups API.